At Adaptative, we offer purely result oriented OsCommerce solutions that not just make your online store more visible and more attention getting but also gets you more targeted audience helping you in improving your online sale as your site gets unique personality and more remarkable features with this most sought after development platform. 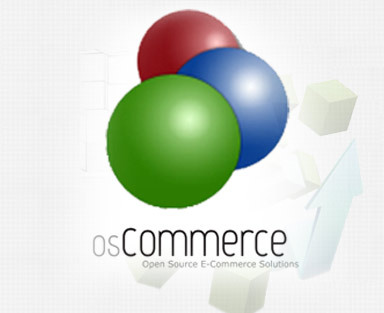 OsCommerce is an open source online store management system licensed under General Public License and is available for free. Named from O = Open Source and Commerce = eCommerce, it is most dependable system that offers to work efficiently on any PHP, Apache and MySQL based web server which confirms it to be a most stable, fast and powerful online business platform, and this is why we recommend you to use it while building your online store. Our team of developers consists of most responsible experts that are always ready tos help you install and use any advantageous online storefront that not only gives you a complete access and control to the system but also gets hundreds of amazing features for you. Being one of the most popular platform that powers thousands of online stores, it proves an ideal business solution especially for the start ups and those looking forward to own an online business that promises good success without having to spend a lot of time and money. It is truly a next generation eCommerce framework which is extremely easy to set up and equally less time &energy consuming in maintenance. And at the same time, it is really remarkable for online store owners to present their stores and offerings on the stores to their customers as it makes it easy to offer fully personalized presentation of the store. Our team offers you with most simple to handle solutions that will enable you to add, edit or delete products, manufacturers, categories, customers and even the reviews in a matter of few seconds. With our services you’ll be able to get customer statistics and product as well as order statistics in easiest possible manner. Our expert team understands how essential Payment is for your business. Thus, they put extra efforts in setting up an extremely easy and reliable payment mode whether the process is automatic with net transactions or manually dealt with offline credit card or checks. We even offer you integration with Flat Rate Shipping Module on demand. Apart from this, we even offer OsCommerce customization services and aim at offering absolutely across-the-board solutions. You get an object oriented backend, completely multilingual and multicurrency system by default, support for unlimited products and categories, easy back up, and various other backend functionalities, product functionalities, payment functionalities, customer functionalities, shipping and tax ease. From a team of highly skilful developers and designers that provides you best solutions that fit your budget and turnaround time together with complete assistance from our customer support unit that understands how important it is to sort out after sales issues for the convenience of our clients.